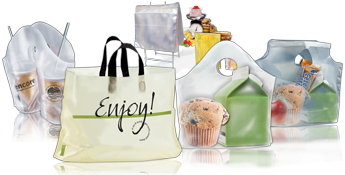 This powerful performer is our most cost-effective and functional bag. 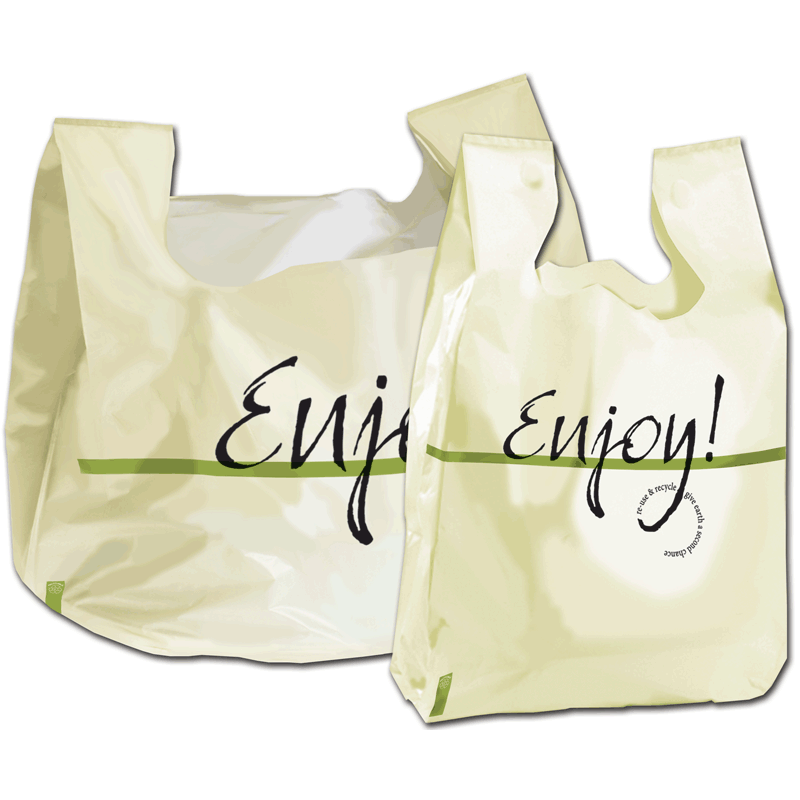 Encouraging words,'Enjoy,reuse & recycle,give earth a second chance' are printed on the bags with water-based inks. Strong strap handles combined with the expandable side gussets help deliver a variety of takeout orders at an affordable price. A definite pleaser in most economies.